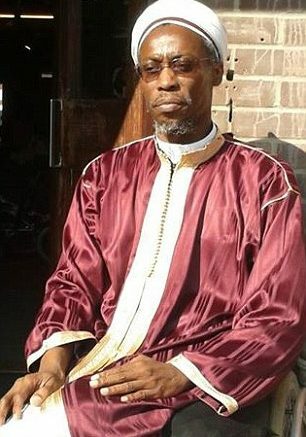 A UK Imam who was gunned down in a London street in a murder that is thought to have links to terrorism had been replaced at his mosque by a Trinidadian involved in an attempted coup d’état in Trinidad 25 years ago, the MailOnline reported. Abdul Hadi Arwani, 48, was found slumped in a Volkswagen Passat on Wednesday morning in Wembley, London. The Imam, described as ‘the most peaceful man you could ever wish to meet’, had gun wounds to the chest. He was said to have been embroiled in dispute with his former workplace, the An-Noor mosque in Acton, where he had been replaced by Hassan Anyabwile from Trinidad and Tobago. The name of Mr Anyabwile, 53, is amongst those said to have participated in a violent coup attempt in 1990 by Muslim group Jamaat al Muslimeen. There is no suggestion that either Mr Anyabwile or the An-Noor mosque in Acton is suspected of any involvement in his death, with counter terrorism police still investigating. In 1990 the Trinidad group Jamaat al Muslimeen, over the course of six days, with over 100 members were involved in holding hostages at gunpoint in the island’s capital, Port of Spain. The city’s police headquarters were blown up in the coup, with Mr Anyabwile described by a parliamentary report of being ‘responsible for organising the use’ of the explosives involved. The coup ended with the insurgents’ surrendering on the condition of amnesty on August 1. Twenty-four people had been killed in the anarchy. It is understood Mr Anyabwile replaced Mr Arwani at the An-Noor mosque in Acton, West London, some time around 2013. He is registered as having lived in London since 2005. Mr Arwani stepped down from the An-Noor mosque last year following repeated accusations that it was linked to extremism. When approached this afternoon Mr Anyabwile, who became partially disabled after being shot four times in legs, denied any knowledge of any dispute. Arriving for midday prayers the man, who was helped into a wheelchair by a security guard, told the MailOnline: ‘Feud? I know nothing about that. It’s almost 25 years ago, around 100 members of the radical group Jamaat-al-Muslimeen stormed Trinidad and Tobago’s Parliament in Port of Spain. They were demanding that the then Prime Minister, Arthur Robinson, resign and that new elections be held, accusing the leader of wild extravagance while, they said, its working classes went hungry. The rebels blew up Port of Spain’s police headquarters and stormed a state-run television channel in a bid to take control of the capital. The Muslimeen’s leader, Yasin Abu Bakr, appeared on local TV during the first day of the coup attempt. Among one of their hostages was Mr Robinson. The Prime Minister was shot and beaten during the six-day coup. Violence and looting ravaged the city as all those who had been in the buildings when the Muslimeen stormed remained in their capture. On its sixth day, the rebels agreed to surrender on the condition of amnesty – releasing what remaining hostages they were keeping unharmed. They were all arrested and charged with treason but later released after producing copies of an amnesty that had been agreed when brokering an end to the coup. Anyabwile, formerly known as Beville Marshall, is thought to have separated from the Muslimeen in 2001. Years later he was shot four times in the legs, leaving him in need of a wheelchair. He had tried to establish his own Islamist group, according to the Trinidadian press. In 2004 a local report claimed he had been turned down for asylum by the UK Home Office having told them that his life would be in danger if he returned to Trinidad. 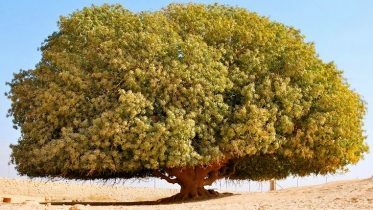 Be the first to comment on "1990 TT COUP PLOTTER REPLACED UK MURDERED IMAM"
This film tells the story of the meeting between the Prophet Muhammad ﷺ (Peace and Blessings be upon Him) and a Christian monk named Bahira….